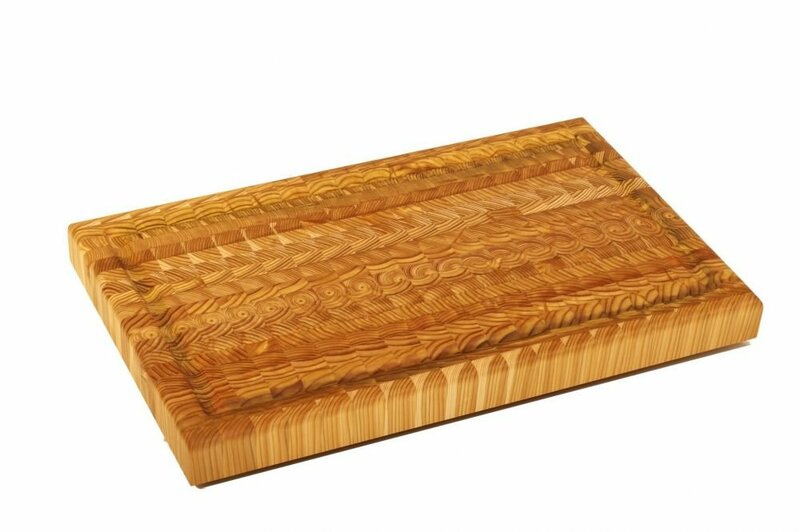 This large larch wood carver’s board is the absolute grill and kitchen master best friend. The board measures 15″ x 24″ x 1.5″ and has perimeter juice grove to keep the kitchen clean. The carver’s board is ready for every meal and daily use with its natural bee’s wax finish. Order yours today!